WestWood Liquid Technologies UK Ltd were asked by JLL & Under 1 Roofing Consultants to provide a full car park condition report, offering recommendations and a guaranteed specification for the Rochdale Exchange Shopping Centre. This car park is situated above the shopping centre and is in constant use by visitors to the shopping centre and the town centre. The existing condition of the asphalt car park was fair but had been damaged over its lifespan. There were numerous dips in the asphalt in every car park bay caused by the tyres of cars. The curbs were also in bad condition throughout the car park and in dire need of repair. Additionally, due to the high volume of visitors to the car park every year, a new improved traffic flow was needed with designated pedestrian walkways to improve safety. The client wanted a high performance waterproofing and surfacing system with a robust single point guarantee covering not only the products but the workmanship. WestWood offered a system that was fully monitored on site throughout the application. Repairs were made to the asphalt deck using WestWood’s Wecryl 242 repair mortar. The previous finish of the asphalt deck had large humps of asphalt protecting the street lighting cables. WestWood’s Wecryl 242 mortar was used to repair the asphalt and coat over these cable trays, getting rid of the need for the large humps of asphalt. Therefore, a better aesthetic finish was achieved and also the ponding water issue was resolved. The shopping centre car park needed to be kept open at all times. 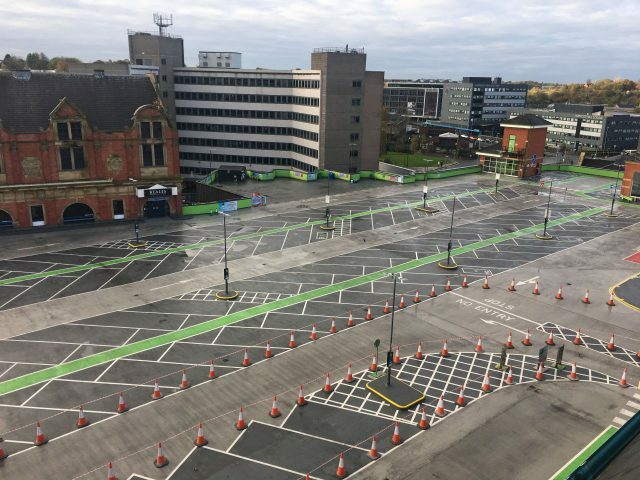 A phased scheme was devised to be flexible enough to keep the car park open and maintain the project progression. During the project the weather did have an effect on the schedule. However, the fast curing PMMA products used allowed the application to be flexible and keep the shops below the car park watertight at all times. 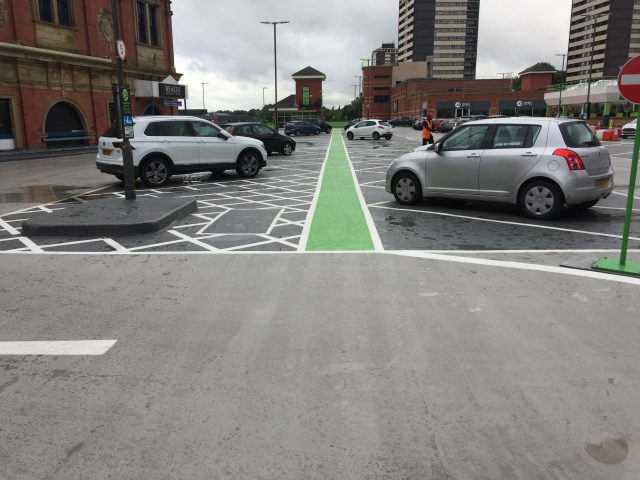 WestWood matched to bright vibrant RAL colours, which were used in areas such as the pedestrian walkways and to match the shopping centre’s corporate colour scheme (green) to keep a continuous theme from car park to shops.